FACTOID # 13: New York has America's lowest percentage of residents who are veterans. Part of the original 13 colonies, Maryland was established by Lord Baltimore in 1634. It was one of the predominantly Catholic regions of Colonial America, and destination for thousands of British prisoners. The Mason-Dixon Line was established early on by two surveyors from the colonies of Maryland and Pennsylvania, which today is the straight-line border between the two states and represents the unofficial border between North and South. Maryland is largely a low land state with fertile soil that provides for a rich variety of crops, cucumbers, melons, peas and tobacco to name a few. Western Maryland narrows considerably as it rises in elevation into the Appalachian Mountains, and at one point is a mere 2 miles wide. Despite widespread support for the southern cause in Maryland, the state did not secede from the Union during the Civil War, in part because of measures taken by Abraham Lincoln to suspend civil liberties. The more rural and sparsely populated west is home to the Antietam Historic Battlefield near the town of Sharpsburg, site of the first major military engagement in the North, and the bloodiest single-day battle in American history. 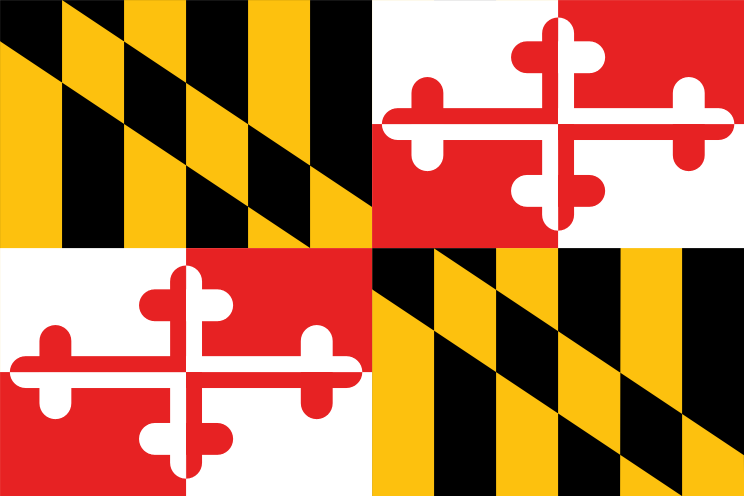 Maryland was admitted as the 7th state in the Union on April 28th, 1788. 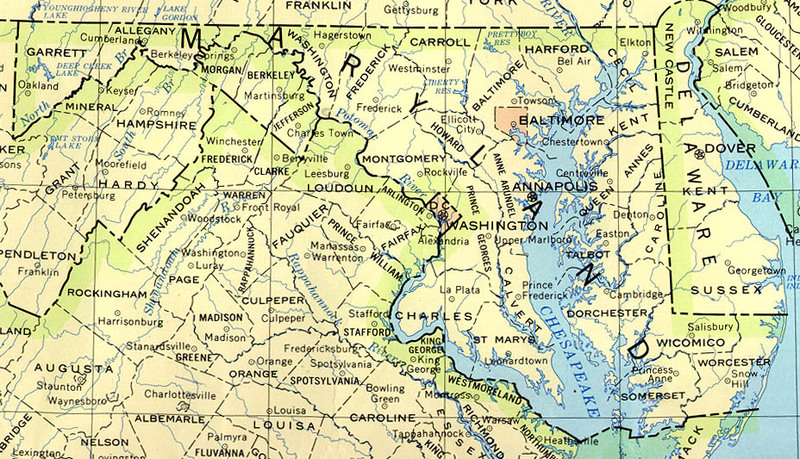 The vast majority of Maryland's population lives in the center of the state, known as the Baltimore-Washington DC corridor. Baltimore, the state's largest city and home to one of the best deep water ports in the world, is currently experiencing a renaissance, as the population has steadily risen, crime is down, and the Inner Harbor is being renovated and revitalized. Outside of Baltimore, the pleasant town of Annapolis is the capital of Maryland and home to the U.S. Naval Academy. It was also at one time the temporary capital of the United States after the Treaty of Paris in 1783. Maryland has the largest percentage of African Americans outside of the Deep South, and a significant population of Marylanders with British ancestry. Maryland also has one of the highest percentages of white collar workers, at around 25%, due largely to its close proximity to Washington DC and nationally recognized research institutions like Johns Hopkins University. As a consequence, the per capita personal income for Maryland was $41,929.24 in 2005, the 5th largest in the nation. The Democratic Party has dominated Maryland's politics for nearly a century and a half. Both U.S. Senators and all 6 House Representatives are Democrats. John Kerry won the state's 4 electoral votes in 2004 by a wide margin, as did the last 3 Democratic Presidential candidates.